Former British Prime Minister Tony Blair has at last admitted he was wrong … however if you thought he was about to apologise for mistakes he made over Iraq you’d be wrong. His long overdue admission was that he and other world leaders were wrong to submit to Israeli pressure to impose an immediate boycott in Gaza after Palestinians democratically elected Hamas to power in the 2006 elections. The decision by Blair and US President George W Bush to halt aid and then cut off relations with the newly elected Hamas-led Palestinian Authority has, over the years, caused untold hardship and misery for the Palestinians living in Gaza. Both Bush and Blair tried to bully Hamas after its election victory by saying unless it agreed to recognise Israel, renounce violence and abide by previous agreements between its Fatah predecessors and Israel, aid would be suspended. The ultimatum was rejected by Hamas which never responds favourably to threats from the West. What it essentially meant was that people in Gaza were being punished for taking part in a democratic process where the elections were given a clean bill of health by international monitors who said the voting process carried out by the Palestinians were both free and fair. Ever since 2006 the Palestinians living in the tiny enclave have been isolated and put under a brutal siege which has left both children and adults malnourished and without bare essentials such as clean water. The siege has worsened by the day and been exacerbated by horrific wars waged by Israel on a largely civilian population. Two years ago a UN report said the siege and Israel’s three military attacks since 2009 had served to make the land “uninhabitable” by 2020. Observers say the humanitarian conditions have worsened since that report was published. So Blair’s admission today will give cold comfort to the Palestinians in Gaza. While their suffering continued the former UK PM went on to become the so-called Middle East peace envoy representing the US, EU, UN and Russia. While he refused to enter in to any dialogue with Hamas he is now saying that was wrong. Ironically Blair has had half a dozen or so meetings with Hamas leader Khaled Meshaal since he quit his job as Middle East Peace Envoy and he’s also met with his successor Ismail Haniyeh. 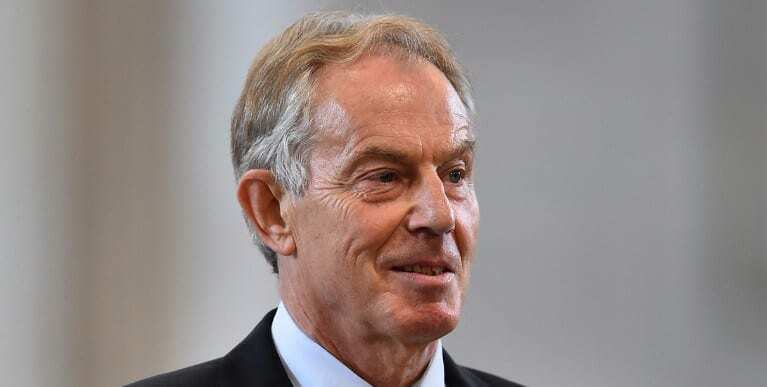 Blair’s rethink is also echoed in the book by Jonathan Powell, Blair’s former chief of staff at Downing Street, who described the decision to isolate Hamas as “a terrible mistake”. Having visited Gaza twice now – once on board the first boat to enter Gaza in 41 years and once by the first Viva Palestine land convoy across North Africa – I can tell you the conditions being suffered by the Palestinians is beyond miserable. Ever since the Bush/Blair decision to isolate the Palestinians in Gaza, conditions have worsened by the day to reach the humanitarian crisis situation now facing the inhabitants of this tiny coastal strip. The international community, complicit in this humanitarian crime, must now exert pressure on both Egypt and Israel to lift the siege of Gaza immediately and a few major figures including Blair can issue a full blown, unreserved apology for the suffering endured by these courageous people. And once he’s finished apologising to the people of Gaza may be Blair can finally turn his attention to the one million Iraqi women who are widows as a direct result of the ‘shock and awe’ war unleashed on Iraq which is still causing death, destruction and misery today in the region.